This is going to be a really short announcement. I just wanted to let everyone know that I haven't forgotten about you all. My life has been really busy with school, work, and focusing on my future. I graduate high school at the end of May, and after that, I will be able to work on the server more. I understand there are a lot of bugs, glitches, and things that need to be improved upon. I've always promised that as long as we keep recieving donations, I will always keep the server online. Right now, the best way to get ahold of me is via private message on this site. I've stopped being active on Skype, but I check this website every day. I do check Skype every now and then, but I won't be as active on it for personal reasons. To everyone who still loves Ioncraft, thank you for continuing to stick with us. I promise things will get better soon. 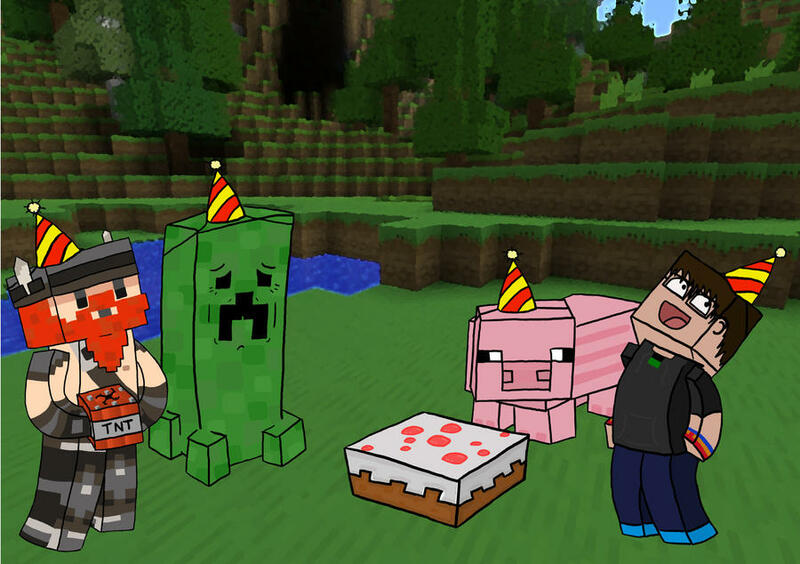 Sunday (Feb 22nd) marked the 4 year anniversary of the server! I remember about 2 years ago when we were a small group of friends. Look where we have gotten to! Many players and a huge community! We have made many friends that we will remember for long to come. On another note, we are running VERY low on donations this month. As of now, we do not have enough money to pay to keep the server up another month, so if you can scrape together a couple of dollars each, we can strive to keep the server up for years to come! Welcome to the nineteenth official server-sponsored building contest! This contest's theme is Museums! Please be sure to read all of the Rules & Guidelines before submitting your entry. No plagiarism. You may not copy someone else's design, or base your build off of someone else's design. Doing so is an automatic disqualification. This event is a single-player event. You may not receive any help from any other players! You may not submit builds in any other world except Creative Plotworld. You may not submit builds that have been created before the contest start date. You may not use more than one plot. You may not use WorldEdit in any way. You may not modify your build in any way after you've submitted it to the contest. Mojang has just released the ability to change your name. This allows all the players that have an embarrassing names they made a few years ago. Therefore, Mojang released a new feature called UUID's. These are ID numbers that are with your Mojang Account that servers can use to keep things straight. If you are banned on one account, it bans your UUID, so if you change your name, you are still banned. This is the same thing for server basics like OP. It is Highly recommended that you DO NOT change your name! This can cause server side issues and result in you losing permissions, plots, and other things that your username is registered with. This feature is not fully tested and players are responsible for all damages caused by changing their name until this feature has been tested through rigorous testing to make sure all features work the same. I love you all. Through the good and the bad, you are my second family. I love meeting all of you, becoming friends, and running this amazing community -- a place where anyone is welcome (as long as you behave ). We've never been a relatively big community, peaking at around 40 players online on a very good day. But that's alright. The smaller to medium numbers have allowed us to get to know each other better, and that's what this community thrives on. Just a heads up, I like to ramble on so this might get long, and may or may not seem relevant. Thank you ahead of time for those that read all the way through! The IonCraft Forums are officially 3 years old now! Although we started the server in February 2011, we didn't build this website until December of that year. I consider this website and forums an absolute essential part of building our great community! In the past three years, we've had over 3,700 discussion threads, almost 33,000 posts, and over 1,700 registered members! Thank you everyone who built this community to what it is today: Veterans, Donators, Staff, and Citizens. Thank you.